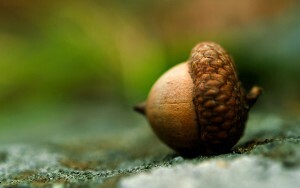 Before you can go about using acorns in a spiritual practice, you need to gather up your acorns. Now through October, the oaks will be dropping acorns to the ground. If you don’t have any in your yard, many local parks and trails do. This harvesting is an important part of the seasonal magic. Get outdoors, watch the light dance in the trees and the clouds over head. 1) Set your intention and make a wish. Hold each acorn between your hands in anjali mudra in front of your mouth. Speak your intention loud and clear into the acorn between your hands. Return the acorn to the earth. You may also bury it, cover it with leaves, or draw a seal over it to fully ground your intention for manifestation. I return you to our mother, Earth. about the beauty and grace of the fall oak. finding my own true rhythm in nature. Grow strong and swift, kind friends. Namaste. 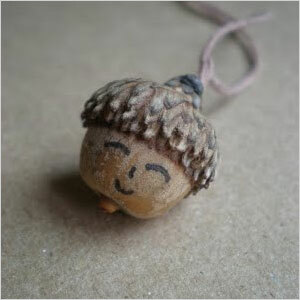 Use paints or ink to make your acorns’ personality shine. Get creative and have fun! There are no rules here. Glue strings on your finished projects so you can hang them on your holiday trees, from ceiling fan pulls, on cupboard or drawer handles and anywhere else you feel called. Remember, Autumn is all about celebrating and harvesting. You don’t have to wait until the end of November to write out a gratitude list for your bountiful blessings – what are the lessons, perspectives and shifts in your own life that you can harvest, consciously gathering them up? I’d love to hear how working with acorns this Autumn helps you to cultivate a new perspective on celebration, harvest and gratitude. Comment below or on my Facebook page! 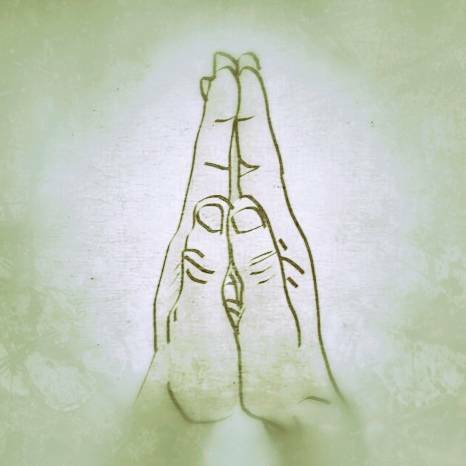 Many warm blessings to you! Oh, before I go. Acorns teach me to be grateful for all of the blessings in my life because I never know which one will turn into the great oak tree!